Jamis wrote the book on steel mountain bikes. 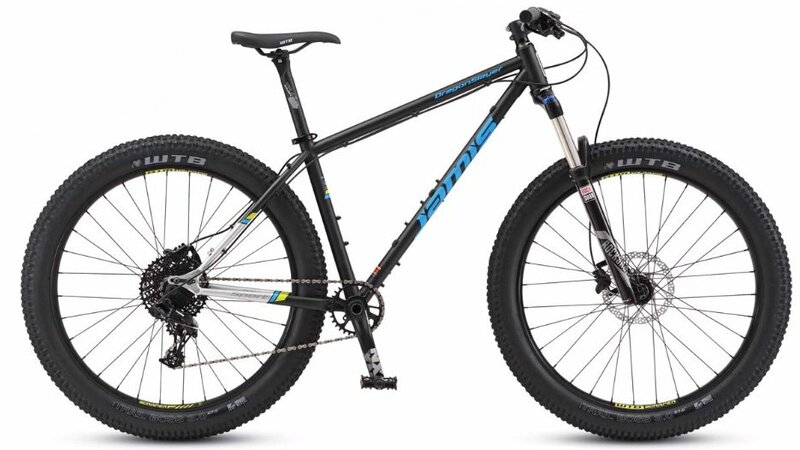 For over 30 years Jamis has been producing high quality steel mountain bikes that may appear retro, but there is nothing that is outdated about the way these bikes ride. The Reynolds 520 steel frameset produces a smooth ride and durability that is distinctly steel without a big weight penalty. Jamis outfits the Dragonslayer’s steel frame with host of capable components built to slay any trail in its way. The plus sized 27.5” wheels and tires provide confident inducing traction and a sense of being able to roll over just about anything. A 120mm travel Rock Shox Recon fork smooths out the trail chatter and eats up the chunk. The SRAM 1x11 NX drivetrain provides plenty of gear range to be able to spin your way up the climbs and mash through the straights and downhills. When it comes time to slow things down, Shimano hydraulic disc brakes get the job done with confidence.